If you love marshmallows and have been searching for a recipe that keeps a marshmallow's light and fluffy texture without being too sweet, this one's for you! After pouring through several marshmallow frosting recipes and testing them, I noticed all of them had one thing in common: too much powdered sugar. The result was a super sweet and dense frosting that no longer resembled marshmallows in both taste and texture. 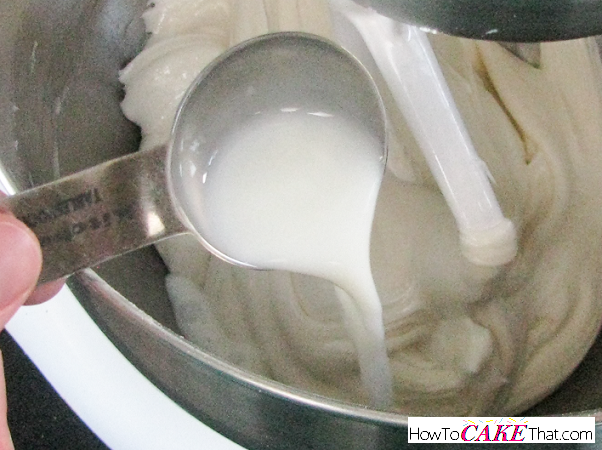 So, I totally started from scratch and created my own marshmallow frosting! This one somewhat resembles what you find in the jar of marshmallow fluff, but this recipe uses miniature marshmallows instead of the jar of fluff. This recipe is sturdy enough for piping onto cupcakes, but I wouldn't try frosting a layered cake with it. The frosting may be too light and the cake layers may slide. 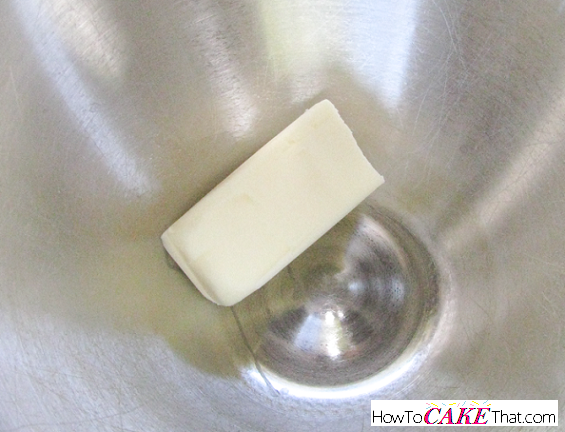 To begin, add 1/2 stick (2 ounces) of room temperature salted butter to a mixing bowl. Next, add a 10 ounce bag of miniature marshmallows (I'm using Kraft Jet-Puffed - yummiest marshmallows EVER!) to a large microwave-safe bowl. Be sure your bowl is BIG enough to keep the marshmallows from flowing out and making a mess in your microwave. 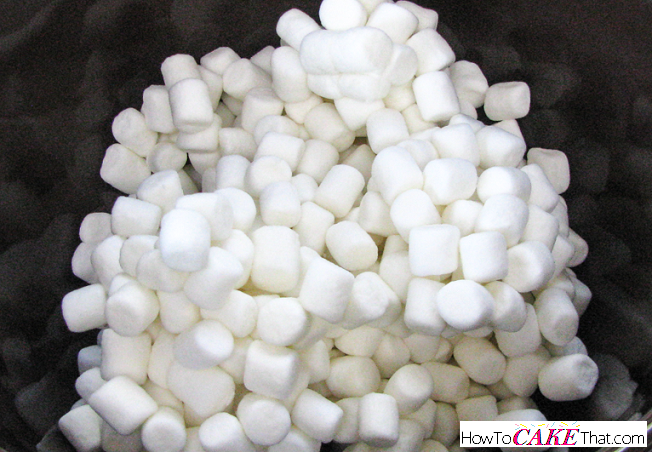 Place the bowl of marshmallows in the microwave and heat until marshmallows are melted. My microwave is very powerful, and I melt my marshmallows for 1 minute and 30 seconds - that does the trick. Remove the bowl from the microwave and stir with a large spoon to ensure the marshmallows are completely melted. If they need to melt a little more, remove the spoon and place bowl back in the microwave and heat in 30 second increments. Stir between heating. 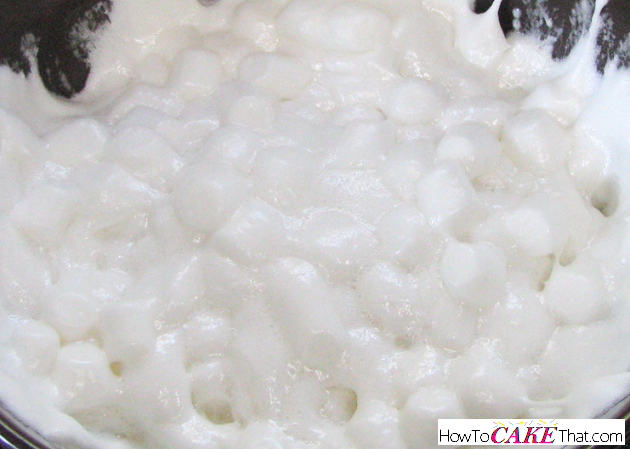 Once marshmallows are completely melted, add 1 tablespoon of milk to the marshmallows and lightly stir. Set bowl aside. Now it's time to prepare our mixing bowl for the marshmallows! Using the paddle attachment, blend shortening and butter together on low speed until mixed. 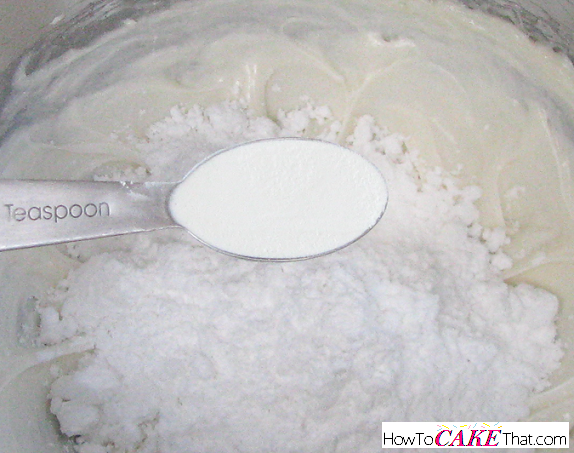 Once marshmallow mixture has cooled, add it to the mixing bowl. 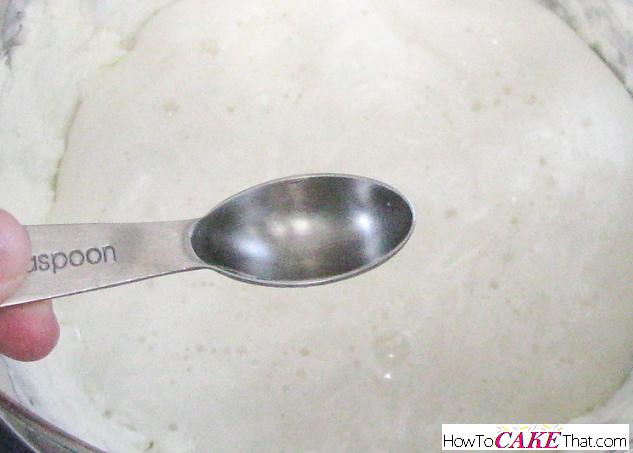 Next, add 3/4 of a teaspoon of vanilla to the mixture. 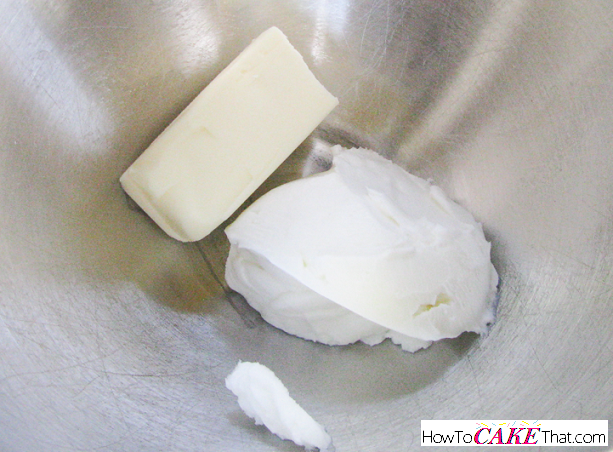 Use clear vanilla to keep frosting white, or feel free to use pure vanilla extract (which tastes best). Blend mixture together on low speed until well-blended. 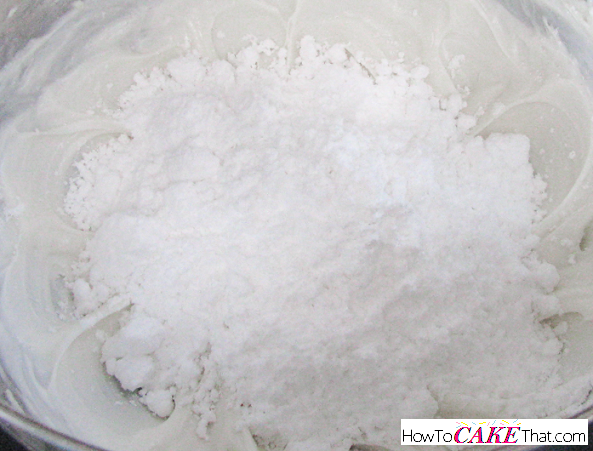 Add 5 ounces of powdered sugar to the mixing bowl. 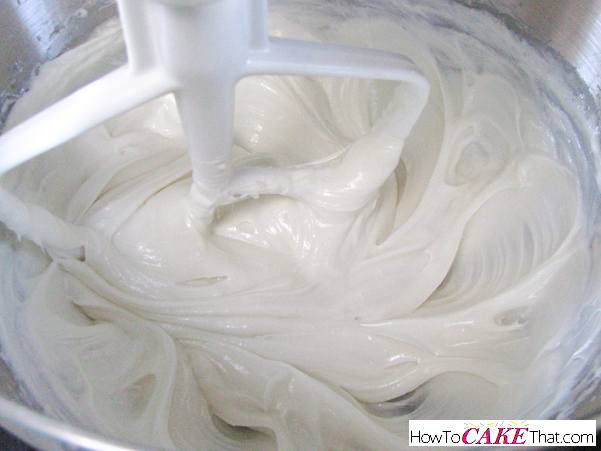 Next, add 4 teaspoons of meringue powder to the frosting mixture (I'm using Wilton's Meringue Powder). 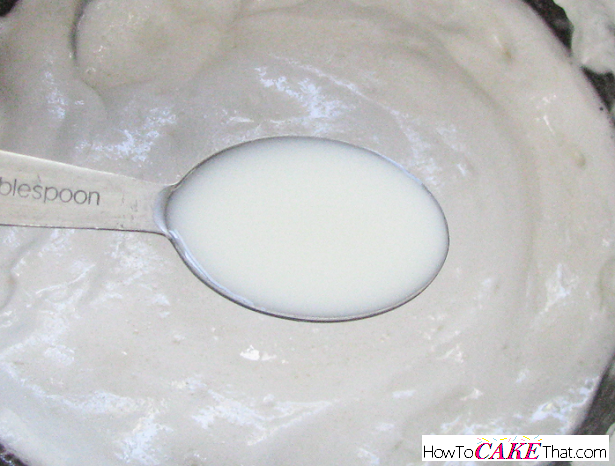 Add 2 tablespoons of milk and mix frosting on high speed for about 2 to 3 minutes, until light and fluffy. 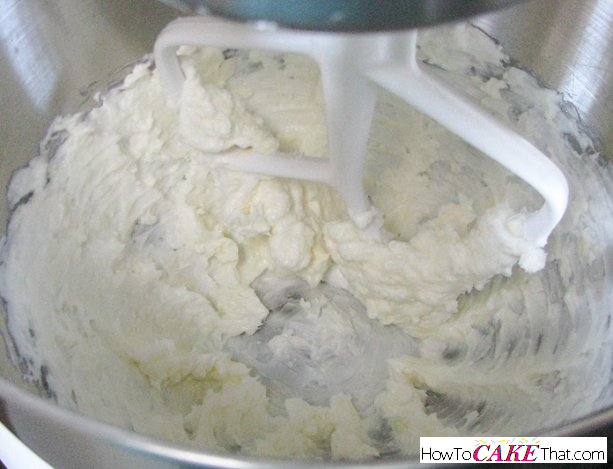 The ribbons in the frosting should hold their shape after the mixer has stopped. If frosting needs a little more stability, add more powdered sugar one ounce at a time until desired consistency is reached. 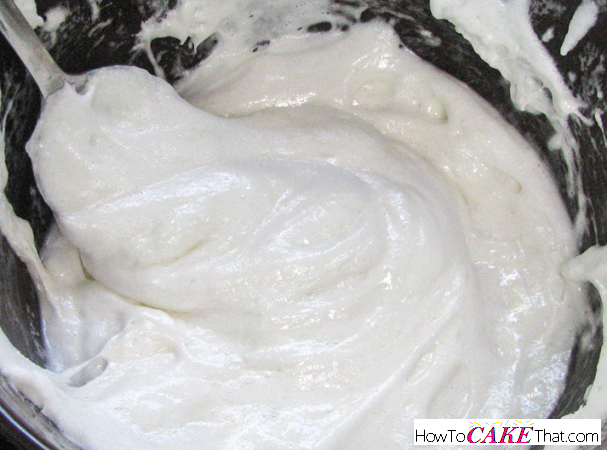 This frosting is just wonderful and taste like a true marshmallow! This frosting is light and fluffy, but it does have a tiny bit of stickiness to it - similar to the jarred marshmallow fluff, but not quite as sticky. 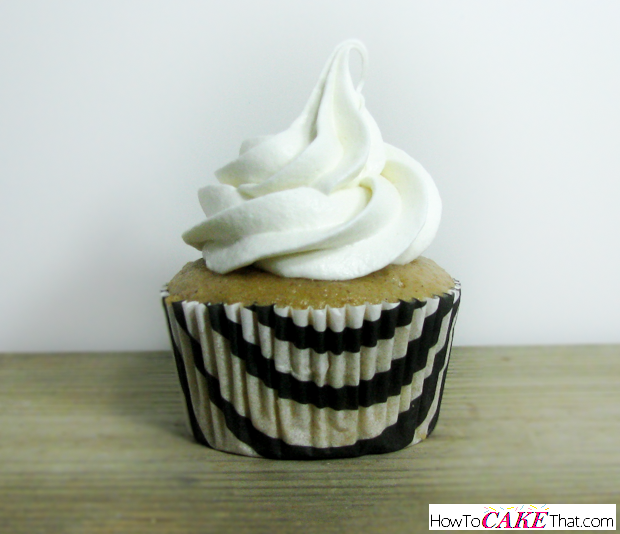 When piping this frosting onto a cupcake, note that this frosting will get a little stringy when lifting the piping bag away (the little string can be seen on the top of my marshmallow frosting in the photo). This frosting is also wonderful at holding its shape. To test out the stability of this recipe I piped two cupcakes and set one on the counter to sit out at room temperature overnight, the other was placed in the refrigerator. Both looked perfect the next day - no melting or sinking. The overnight temperature was about 65 degrees, so I do not know how this recipe will handle heat.